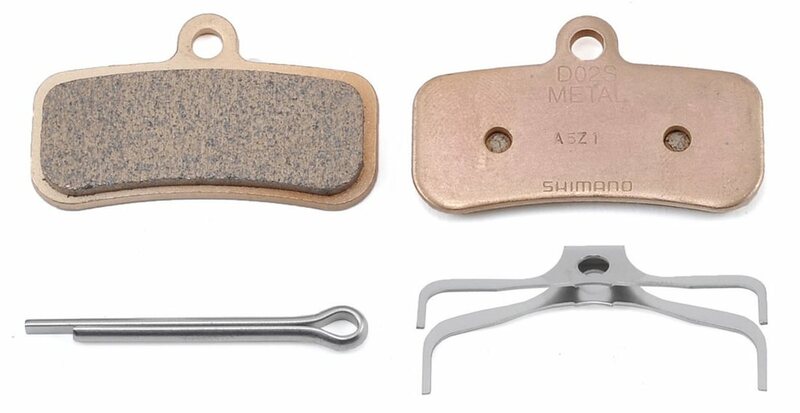 These replacement brake pads for Shimano Saint and Zee brakes are the genuine OEM replacement. Use Shimano brand brake pads with Shimano brakes for the ultimate in braking performance. One set is enough for one wheel. Buy two sets to replace front and rear pads. I just want to say that this brake pad fits Shimano Saint M820 brake calipers and work just fine. I never felt the need for the cooling fins so I got these. I use them with the Shimano RT-86 rotors. I was looking for an upgrade over the TRP Slate stock pads. These work great, install was a breeze. I would buy them again. Only draw back is they are a lot more noisy then the stock organic pads which is to be expected. Then increased stopping power and the longer life is more important to me. Way more consistent brake feel over the finned pads. Cant say I’ll ever go back to the finned ones they are noisy(moving back and forth in the caliper), and thus make the lever feel inconsistent. Good cheap way to have a set of backup pads in the toolbox without springy for the more pricey ones with the heat fins. Jenson was great as usual. Just your basic replaceable pads for ZEE brakeset. They work. They stop with moderation without launging you over the handlebars. They don't fad after descending the trails around oakridge. I've been running the finned version of these. But when I needed new pads I didn't wanna drop the money on them. So I purchased these. They stop just as good. And they're cheaper. Although I haven't put down bike park runs on them yet. So we'll see how they stop after using them all day. I like them so far. Definitely would recommend them if you wanna save money but don't wanna lose quality. These are way cheaper than the finned pads with same stopping power. The fins are cool and all but just not necessary. Great all around pad with great stopping power. Great stopping power, but I think the Saint calipers help out with that. Simple installation. They are a bit squeaky when they get wet, but other than that, no complaints. Saints are great brakes. I'm heavy, and they stop me every time without complaint. Modulation seems fine, too. The brake pads fit. I need a couple pads for shimano mt500 what model pads need to buy? BEST ANSWER: You need Shimano B01S pads . If you want better power , upgrade to a bigger rotor and E01S pads which are resin and work better with their upgraded rotors! will these fit shimano zee brm640?